Give your classic roast potato recipe a update with these new ideas, from chilli and turmeric to lemon and thyme… We’ve got lots of ways to jazz up your roast potatoes come Sunday lunch or Christmas dinner. We’ve found a way to make all your roast potatoes as crispy as the ones at the bottom of the tray (that’s right, the ones everyone fights over). However you’re preparing your family roast dinner, try one of our ways to pimp your roast potatoes, whether it’s adding herbs and spices or trying a new shape. 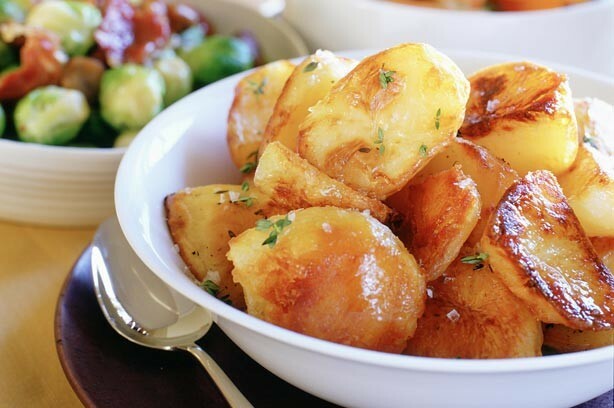 Roast potatoes are often people’s favourite part of the meal so make sure you choose the perfect one for your family. Yes, turn up the warm flavours with a little spice. Gordon Ramsay’s tip for getting his roast potatoes with chilli and turmeric really crispy? Turn them a few times while they’re in the oven to ensure they’re golden and crunchy all over. Using fresh thyme will make roast potatoes smell so good as they cook, and lemon zest gives freshness and a little zing. The recipes uses King Edward potatoes, which are among the best for roasting, which means your tatties will turn out crispy on the outside and fluffy on the inside. For quick midweek roasties, try cooking your spuds on the stove instead of in the oven. Pan roast potatoes can still be extra crispy: use waxy potatoes, make sure the oil in the pan is smoking hot, and keep turning the spuds. 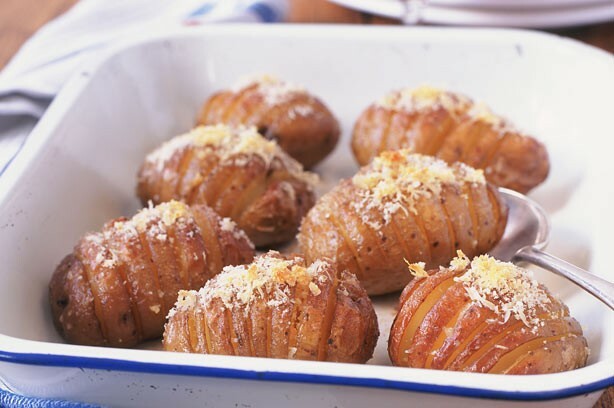 Hasselback potatoes are the Swedish version of our classic roasties. The deep slices most of the way through make them look a bit like hedgehogs, and once your oil, butter or fat gets into the gaps, the result is some seriously crispy spuds. After roasties with a bit of a difference? These coriander pesto roast potatoes are smaller, bite-sized chunks that help get that crispy edge, with a delicious pesto coating. Can’t be bothered with lots of chopping and peeling but still want crispy roasties? 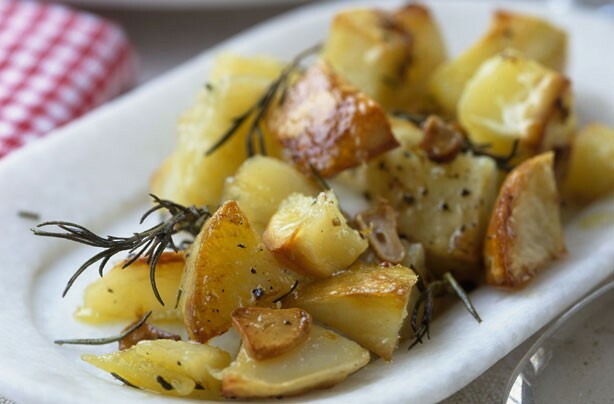 Simply roast new potatoes in the oven with their skins on and a sprinkling of sea salt. Slicing baking potatoes into 1cm rounds makes for golden and crispy potato slices. Roast with slivers of red onion for an easy Sunday lunch side dish. The classic flavours of rosemary and garlic make these potatoes the perfect accompaniment for your roast. Shaking before you put them in the pan to roast, roughing up the edges with a fork and ensuring the oil covers every side means guaranteed crispiness.